Podcasting, subscription video on demand (SVOD) and interactive gaming will be the fastest-growing sectors in terms media spend in the next five years, a new PwC report suggests. According to the latest PwC Australian Entertainment and Media Outlook, one of the biggest growth areas over the next five years will be podcasting, with an anticipated 85.9% revenue increase. That compares to streaming, on-demand and digital radio (DAB+), which together will boost internet revenue by 10.1% and terrestrial radio, which is expected to increase by 1.5%. Digital music is also expected to climb, with spend predicted to increase by 10.2%, compared to a 15.5% decline for physical music products. 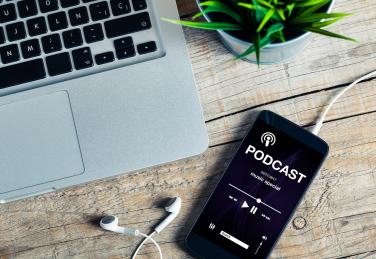 Megan Brownlow, PwC Australia’s entertainment and media industry leader, said podcasting growth was expected to propel growth in the radio sector. “It’s forecast to more than double revenue over the next five years, growing at an impressive [compound annual growth rate] CAGR of 85.9%,” Brownlow said. According to the latest report, SVOD services will also see healthy growth, with PwC reporting a 30.1% increase in spend in this sector over five years. Advertising revenue is also expected to increase by 1.2%. The total market increase for SVOD – 10.1% – suggests the sector will be the fastest-growing segment in spending, ahead of internet advertising’s 7.7%. The result is significantly different to predictions around linear television, which is expected to dip by 4.7% over the next five years. But for television, the good news is advertising-funded video on demand will soar by 20.3%. The next five years looks healthy for PC, mobile, console and online gaming, with the total market expected to increase by 5.1% in the next five years. Digital sell-through revenue will have a CAGR of 14.6%. “Growth in attention to eSports and recognition of its audiences’ high disposable incomes is attracting the interests of marketers. The total eSports market is forecast to be $21m in 2022, up from $8m in 2017,” Brownlow said. However for more traditional mediums, such as consumer magazines and newspapers, spend is expected to decrease between the years of 2018 to 2022. PwC anticipates consumer magazines’ circulation will drop by 9.3% between 2018 and 2022, while advertising spend will fall by 4.4%. However, the sector can expect revenues to double between 2016 and 2020 in native advertising. The news isn’t as bad for newspapers. Over the next five years, circulation revenue will somewhat stabilise, with just a 1.2% dip. Advertising spend will continue to decline by a total of 8.1% over the next five years, PwC predicts. However one of the biggest growth areas is internet advertising, with video revenue anticipated to grow by 23.8% in the next five years. Classifieds and search are also expected to increase, by 2.6% and 3.3% respectively. The outdoor advertising sector will continue to grow, according to PwC, with a 15.9% increase in digital revenue over the next five years. That compares to a 5.7% in physical outdoor advertising. And while home entertainment will decline by 5.7% over the next five years, box office and cinema advertising spend is anticipated to increase, by 3% and 3.5% respectively. PwC’s Megan Brownlow will be unveiling the full report at Mumbrella360 on Thursday June 14. To find out more or buy a ticket, click here. Zoe Samios is the senior reporter at Mumbrella covering media owners. She completed her degree at the University of Sydney in Media and Communications. She's previously travelled overseas for internships, including to South Korea, where she worked as a reporter for The Korea Herald.